Currently working in South Wales, Emma provides pain management clinics in primary care, working with GPs, pharmacists and the primary care teams. 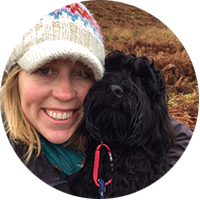 Emma also teaches at undergraduate and postgraduate level, develops guidelines and educational materials and provides advice to Welsh Government on pain management. Emma is currently studying for a PhD, examining trends in opioid prescribing and healthcare resource utilisation in Wales. In addition, she was recently appointed Chair of the Primary Care Pharmacy Association Pain Group. Emma is also on the Executive Committee of the Chronic Pain Policy Coalition – an all-party group which lobbies Westminster to improve the lives of people living with pain.